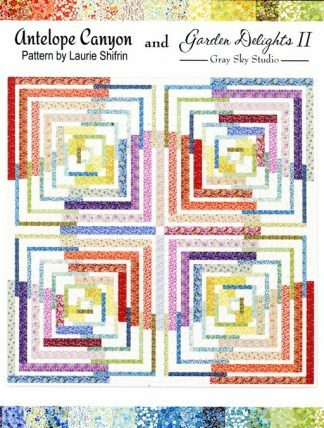 This quilt kit contains all the fabrics for the front of the quilt (as shown on the bed), binding and pattern. This kit contains all the fabrics for the front of the quilt (as shown on the bed), binding and pattern. The fabrics used in this kit come from the Cool Grays range designed by Jason Yenter.